Prof Monique Marks currently heads up the Urban Futures Centre at the Durban University of Technology (UFC@DUT). Initially trained as a social worker, she has a doctorate in Sociology from the University of Natal, and writes predominantly in the field of criminology. She has published widely in the areas of youth social movements, ethnographic research methods, police labour relations, police organizational change and security governance. She has published four books: Young Warriors: Youth Identity, Politics and Violence in South Africa; Transforming the Robocops: Changing Police in South Africa; and Police Occupational Culture: New Debates and Directions (edited with Anne-Marie Singh and Megan O’Neill) and Police Reform from the Bottom Up (edited with David Sklansky). She has also published over 45 peer reviewed articles and numerous reports. She sits on a number of journal editorial boards as well as the Board of Trustees of the Safer South Africa Foundation. 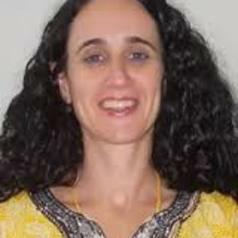 She is a B-rated researcher, indicating that she has substantial international recognition. In her research work on security governance she has forged close relations with government, both local and national. Monique also runs a large community engagement project in Durban’s largest low income municipal housing estate, Kenneth Gardens.